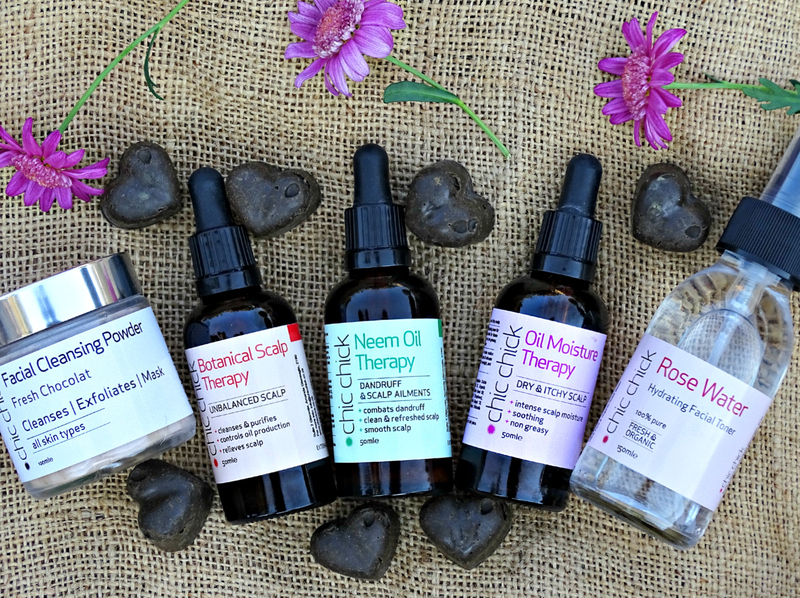 Chic Chick Natural and Ayurvedic Hair and Skin Care Product Giveaway! Ever since moving back to South Africa I’ve really been struggling with dry skin, so I couldn’t have been any happier when Chic Chick contacted me and asked if I’d like to try out some of their skin and hair products along with doing a giveaway. I immediately hopped online to see what they’re all about and since you know I love all things natural I was over the moon when I discovered that they refer to themselves as a new generation hair and skin care company, supplying natural and Ayurvedic products for all hair and skin types, including powders such as henna and indigo. 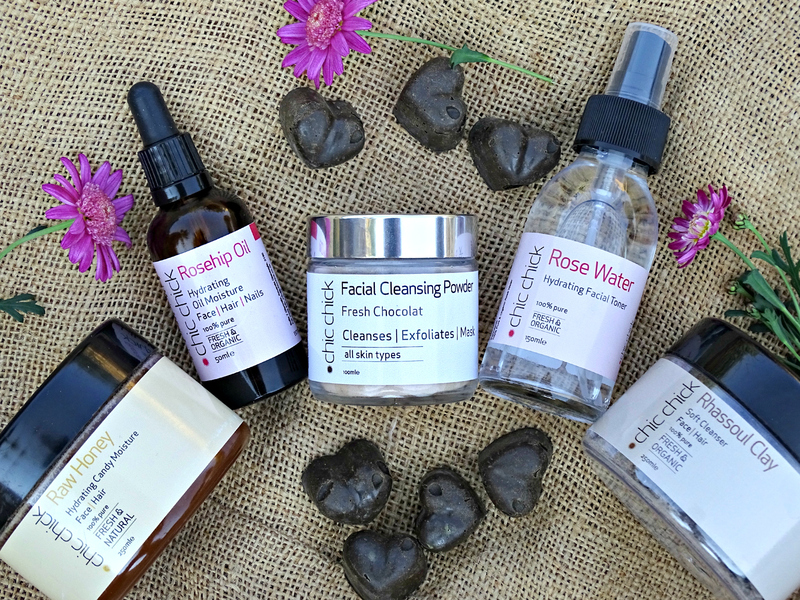 I had the opportunity to try a range of products. Some I fell in love with, others not so much and I’ll tell you why. But make sure you read to the end as I have a fabulous giveaway to the value of R1 300 that you don’t want to miss out on. I’m starting off with probably my favourite product I was given to try: a rich, luxurious cleanser that you activate with a bit of water, promising to gently cleanse, eliminate toxins and softly even skin tone. 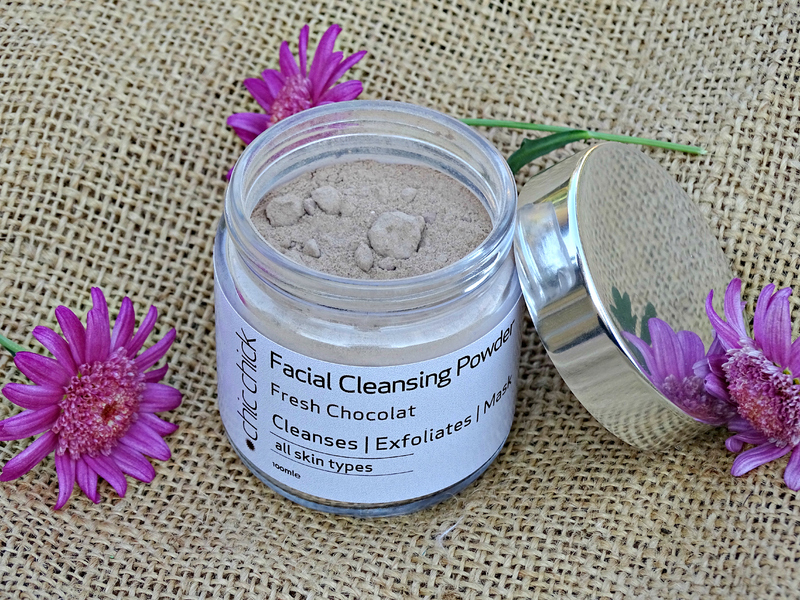 The cleanser consists of a range of natural powders, the most notable being cocoa shell powder and bentonite clay, that you mix with water to create a paste and then apply to your face. You can use it as an everyday cleanser or a mask, depending on how long you leave it on for. I adore how this product makes my skin feel after each use: soft, moisturised and without any tightness. I especially love using it in the mornings as a mask while I sit and relax in the bath. The faint smell of chocolate is an added bonus. 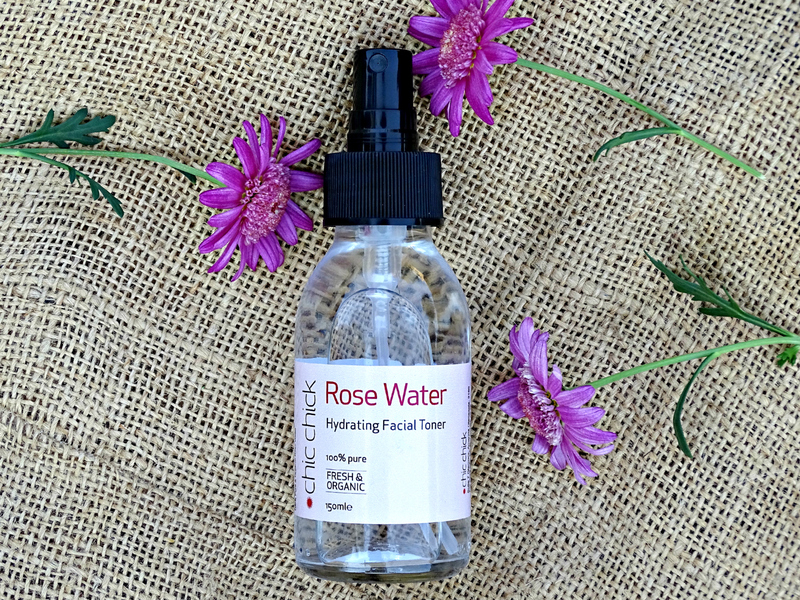 If you’ve ever wanted to use a 100% all natural toner without any alcohol, consider giving rose water a try. I love to spritz a little on my face after I’ve cleansed it to prepare my skin for moisturising. You’ll love the distinct smell of roses you’ll get when applying this to your face, while it tones, balances and refreshes your skin. According to the site it’s perfect for all skin types as it maintains the pH balance and stimulates the regenerating process. It can also be used as a moisturising tonic on natural hair. This is without a doubt the most luxurious oil I have ever used on my skin. 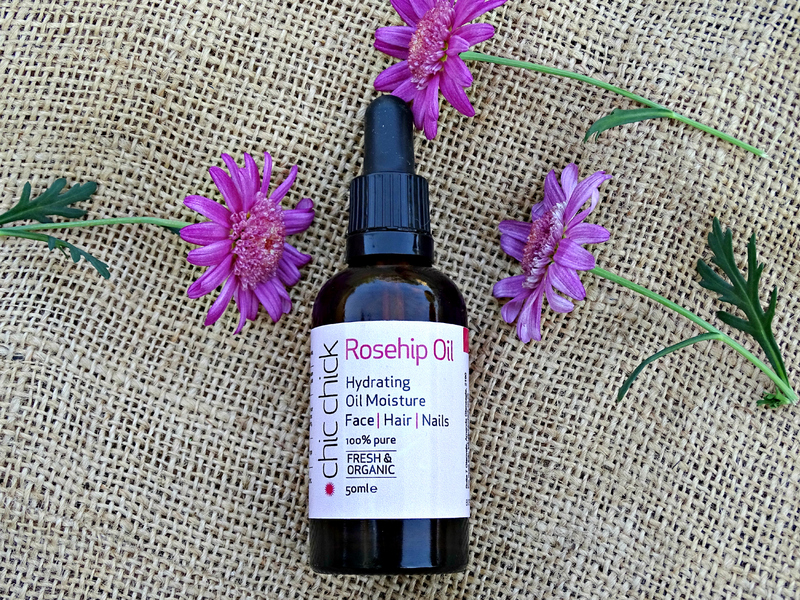 If you’ve never heard of rosehip oil, don’t despair – I was only just introduced to it as well. My usual moisturising regime consisted only of applying coconut oil to my damp skin, but it hasn’t been working so well for me lately. Hence the introduction of rosehip oil. I apply it after my moisturiser by dropping 5 drops into my hand and gently pressing it into my skin. It leaves my skin moisturised, supple and feeling quite firm. If I’ve dispensed too much oil I’ll massage the leftover into my nails and cuticles. I also love that the bottle comes with a handy dropper to make application easier. I haven’t had such mixed feelings about a product in a long time, but this hair booster mask certainly calls for it. You apply it to your hair after placing the little hearts into a container, pouring warm water over it and allowing it to melt and then mixing it into a thick yoghurt-like paste. While my hair has never been softer and my curls have never popped as much as it did after this application, I’ve also never struggled to get a product out of my hair like this before. It took about 5 washes over 3 days to get the last of the clay out of my hair. 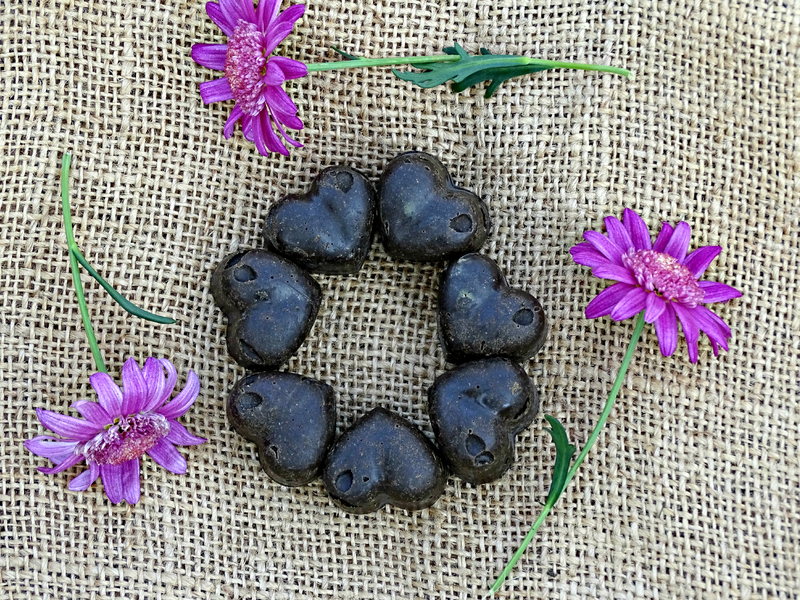 The ingredients are absolutely amazing: Acacia Concinna (Shikakai)Powder, Cocoa Butter(Theobrama Cacao), Shea Butter, Inca Inchi, Thyme Powder, Emblica Officinalis (Amla) Powder, Sea Moss Extract, Bacopa Monniera (Brahmi) Powder, Eclipta Alba (Bhringraj) Powder, Trigonella Foenum Graecum Extract, Vitamin E(Tocopherol). So I’d definitely try it again, but I’ll probably chat to the owner of the company for some advice on how not to let the product stay stuck in my curls for days on end. 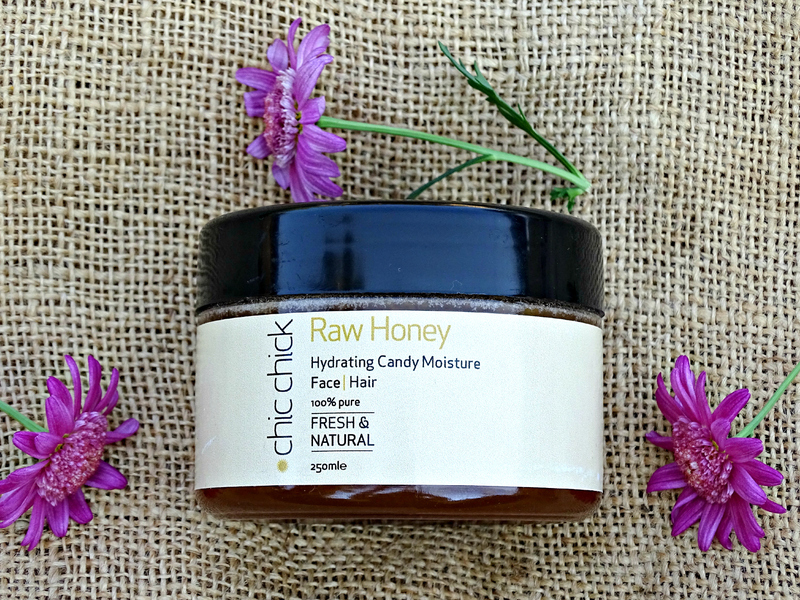 I haven’t actually used this honey yet as I still have another container on the go and I’d like to finish that one first, but I love the fact that they stock 100% raw honey, perfect to use as a mask for both hair and skin. 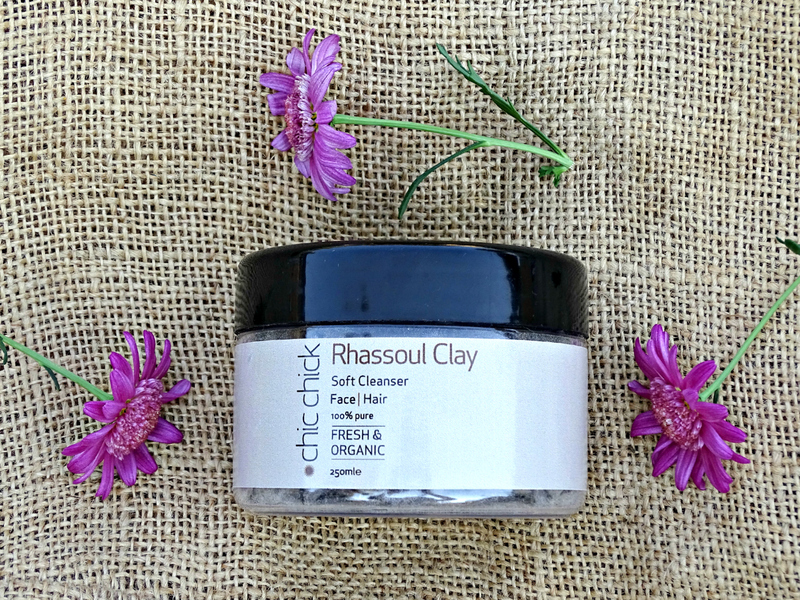 I haven’t gotten around to try the Rhassoul clay either, although it’s definitely one of my next products to try. I’ve heard too many good things about it to not give it a go. Again, it’s perfect for hair and skin and I’m going to fully review this clay in the near future, so keep an eye out for it. Overall, I’m really impressed with the website as each product has usage directions explaining in detail how to use it as well as a comprehensive list of the ingredients. I’ll definitely be purchasing from them again. Like and share the Giveaway photo. Winners must be willing to share a mini review of their experience using the products on the Chic Chick website. The competition is open to those residing in South Africa only. Entries will be accepted until Sunday, 27 September at 8pm South African time. Winners will be drawn on Monday, 28 September and announced on my Facebook page.